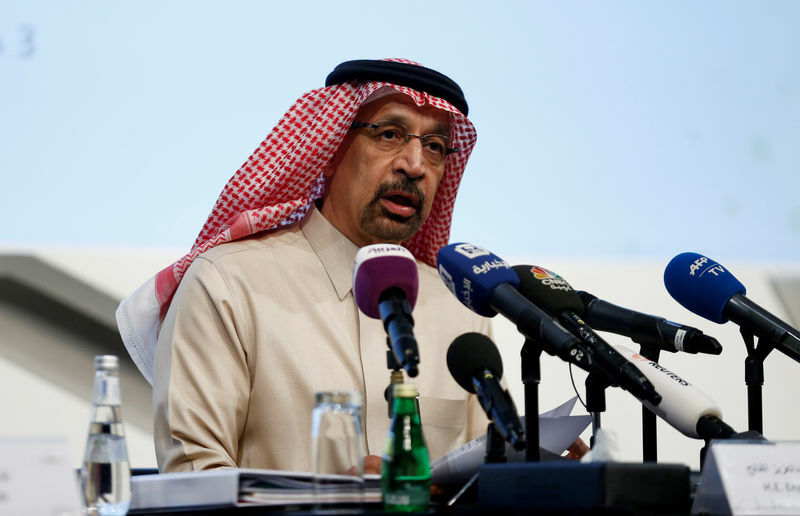 ABU DHABI (Reuters) – Saudi Arabia's Energy Minister Khalid al-Falih said on Sunday the oil market is "on the right track" and will quickly return to balance, but oil producers are willing to do more if needed. "If we look beyond the noise of weekly data and speculators' like behavior, I remain convinced that we are on the right track, and that the oil market will quickly return to balance," said Falih, addressing an oil conference in Abu Dhabi. "If we find that more needs to be done, we will do so in unison with our OPEC and non-OPEC partners where collaboration is essential too," he added. Production in December was already more than 600,000 barrels per day lower than in November. "We in Saudi Arabia went beyond our commitment, and have lowered both production and exports," he said. Falih later reporters that are no need for an extraordinary OPEC meeting before April, when the group is set to decide its output policy for the rest of 2019. Fusion Media of reliance on the information including data, quotes, charts and buy / sell signals contained within this website. Please be fully informed regarding the risks and costs associated with trading the financial markets, it is one of the riskiest investment forms possible.